Beta tests sometimes seem like complex affairs, but in reality, they are quite simple and can be done for little to no cost. In fact, beta testing is considered a low-cost tactic to test your app and collect user feedback. The word “free” often translates into more work and time, and you will need to keep your team’s capacity into account. However, with a good plan and some smart spending, you can run efficient beta tests that are still budget friendly. Now let us take a look at some of the considerations you need to make to set up a budget-friendly beta test. This goes without saying and should be done before you even start developing your app. Coming up with an effective beta testing strategy and recruitment approach will completely depend on this step. Well-defined user personas are the base on which you will build your beta test, and will influence your strategies and efforts. After you’ve identified your users, you need to find out where they hang out. You want to integrate yourself into these communities to start a relationship with your future users and understand them better. Identify the online spaces where your users hang out and actively participate in these communities. Gain Redditors’ trust by adding useful links and thoughtful comments, and build a following on Quora by answering questions related to your industry. Understand that each community has their own rules that you need to abide by to gain the trust of its members. Keep in mind that becoming a true member of these communities and gaining their trust can be time-consuming. However, they often make up for it with precise feedback and amazing support. Start joining these communities early on, well before your app is ready for testing to maximize your results. Blogging is another great way to build a following and increase awareness about your app for no cost. Your blog will also continue to be of benefit after you launch which makes it a sound investment. However, a blog is a long-term commitment and needs to be regularly updated for quite some time before showing good results. Start your blog as early as possible and make sure to post something new every few weeks. Additionally, distribute your blog posts to social channels and user communities to start building a community and gain some traction. This will also you allow you to gauge which channels are more active or have higher conversion rates and focus on them when it is time to launch. A couple of months before you’re ready to launch your beta test, you will need to create a “Coming Soon” landing page. The landing page should showcase your value proposition and include a few mockups to give people an idea of what your app will look like. Your landing page should also allow visitors to submit their e-mails to sign up for the beta test. When your landing page is ready, start linking to it on social media and other forums to start collecting e-mails. Besides being the first testers to sign up, you can use these e-mails later to run some targeted ads on social media. Beta testing is a tool that can be used for a lot of different goals related to quality, marketing, product management, etc. However, it might not be feasible to pursue all of them at the same time when you are a small team on a budget. Define and prioritize your goals and desired outcomes from your beta test and prepare a detailed plan to achieve them. This will help you focus your efforts on what matters most and avoids spreading your team too thin. One of the main reasons beta testing has become more widespread than ever is the huge number of tools available today to facilitate different aspects of beta testing. For a small team, it is especially important that they make use of such tools to streamline their process. Otherwise, they risk getting overwhelmed by the beta testers and their feedback. In-App Crash Reporting: To automatically report crashes that happen in your app. In-App Bug Reporting: To enable your testers to report bugs without leaving your app. App Analytics: To track important metrics and in-app behavior. In-App Surveys: To send surveys to your testers. Beta Distribution Tool: to send your builds to beta testers over-the-air (OTA). A beta test is no excuse to skip internal QC testing. Before being considered a beta version, your app must have all the core features implemented and be free of any show-stopping bugs or crashes. If your app is buggy enough to frequently interrupt the tester’s experience and prevent them from getting value, they will quickly get frustrated and abandon your test. Moreover, while beta testers tend to be quite tolerant to bugs and crashes, releasing an app with too many bugs to be usable can create a bad impression that will take time to improve. When your app is almost ready for beta testing, consider running some guerrilla usability tests to uncover any usability issues in your app. Guerrilla usability testing is the practice of randomly approaching strangers and asking them to try your app while you watch or film them. By watching how they interact with your app, you will uncover things that might be confusing to your testers, or not as discoverable as you like. One of the best things about usability tests is that a small number of testers will uncover most of the usability issues in your app. According to research by Nielsen Norman Group, testing with just five participants will uncover more than 75% of the usability issues in your app. This five user sample works for usability tests because the feedback is qualitative, but there are still a few cases when it’s not enough even for a usability study. When your app is ready to be tested, your friends and family will be the most available source for feedback. They will be enthusiastic about your app, actively test it for bugs and submit a lot of feedback. Giving them a go at your app before you release it to beta testers will at least help remove the most glaring bugs. Remember, however, that in most cases, your friends and family are a very poor representative of your target users. The feedback that you will receive from them, while valuable, is usually biased and disconnected from your users. Try to keep their feedback and analytics separate from the rest of your testers to avoid skewing your results. If you are beta testing a new feature for an existing app, or have another app that is live, you can tap into your users base for recruitment. These beta testers are good representatives of your target market and usually make for highly engaged beta testers. Since you already have an established relationship with these users, not only will it be easier to convince them to participate, but you will also know exactly who you are recruiting. Reach out to them to let them know what you’re working on and ask if they want to be a part of it. Depending on your target audience, there are many channels that you can use to recruit beta testers. This includes social media channels, beta directories, startup directories, and any niche communities related to your industry. This is where the time you spent engaging with online communities starts to pay off. If you have managed to become known among the community, your posts about the beta test of your app will carry more weight and convert far better. Keep in mind that some startup and beta directories have a submission process that can be lengthy and you might not be able to control exactly when they will feature your app. If you are not able to time your submission around your launch date, you might want to explore their paid options. Many of them offer affordable prices, and there seem to be quite a few of their customers that have found it worth the money. Additionally, if you have taken the time to maintain a blog and share its posts, you will know how each channel performs. This lets you focus your efforts on the channels that have shown good return and double down on what already works. Attend conferences and events related to your app and make connections with your potential users on the ground. Attending local meetups is also a great way to interact with the community. If you’re lucky you might also connect with a few influencers in these spheres. Engaging with potential users at physical events makes your relationship with them more personal and helps you understand their needs better. Testers recruited from these events usually end up being the most engaged with your test and provide tons of valuable feedback. Incentives are not the reason people beta test your app but they are a good way to show your appreciation. People love to be appreciated and recognized for their work, and they should be. Rewarding your beta testers’ time and effort by giving them your app for free or a couple of months’ subscription is a nice thank you gesture. Alternatively, if you offer in-app purchases you can reward your testers with in-app credit. While you don’t technically pay anything for them, remember that this kind of incentives is still a cost that needs to be calculated. You will basically be borrowing from your future profits so think about how much you need. Depending on the type of your app, you can also reward your testers with gamification items like exclusive badges or avatars. If you have the opportunity, this type of incentives will also add an air of exclusivity to your beta test making it easier to recruit future testers. It also doesn’t hurt that it will cost you exactly nothing. Before you give testers access to your beta test, you should set their expectations and let them know exactly what they’re signing up for. When you decide on a launch date for your beta test, send an email to your testers to remind them about your app, announce your launch, and explain what is expected of them. When you finally launch, you need to make sure you onboard your beta testers well on both your app and any feedback tools or mechanisms you are using. This helps maximize your testers’ participation by making sure they have all the information they need to get started. To deepen your understanding of your testers and how they use your app, it is good practice to segment them. How you should segment your testers will differ according to your app and its use cases. However, some of the common segments that you can examine include most active users, churned users, users that made in-app purchases, and users that submitted more than “x” feedback. On the other hand, you can also segment them by their acquisition channel to help you identify the high performing channels and focus on them when you launch your app. Lastly, don’t forget to keep your friends and family in a separate segment, especially if you have a small number of testers, to avoid skewing your results. On average, one in five beta testers will actively participate in your beta test and provide valuable feedback. This is mainly caused by a lack of tester engagement and a complicated feedback reporting process. Help yourself and your testers out by making it easy for them to submit their feedback. Additionally, don’t treat your testers as an afterthought and try to make them feel like they are part of building your app. Simple gestures like acknowledging their bug reports and updating them on their progress or sending regular updates about the progress of the beta test will increase your testers’ sense of ownership and increase their participation rate. Gathering feedback is the main purpose of beta testing. While testers will submit feedback in the form of bugs and crashes as they encounter them, there is much more you can learn by being proactive. Prepare some surveys and questionnaires that you can send to your testers for further feedback. Surveys are a quick and easy way to ask specific questions about your app, and there are many tools that can help you with that. You can also arrange for a few user calls or interviews to gather more in-depth qualitative feedback about your app. Keep in mind that the smaller the number of testers you include in your beta test the more important qualitative feedback becomes. The smaller your beta tester pool, the less representative they are likely to be to your users, and this makes relying on quantitative data and metrics dangerous. Finally, remember to also use your beta tests to gather testimonials from your testers that you can use to market your app. Identify your most active testers and those who have sent positive feedback and ask them for their review or testimonial. As mentioned earlier, quantitative results like app analytics and metrics tend to be inaccurate with a small number of testers. However, you still need to keep a close eye on them since they show you how your users are actually behaving in your app. Examine your app’s analytics to identify the common actions, screenflows, and drop-off points of your users. This can reveal insights about issues in the user experience and sometimes uncover entirely new use cases your testers have found for your app. For a small, private beta test, qualitative data from users will usually reveal the most valuable insights about your app and its users. Ideally, analyzing this data should be a team activity to keep everyone in sync with your users. Sort this feedback and examine things like the percentage of positive vs. negative feedback, the number of suggestions/feature requests, unique use cases, etc. You can also use a word cloud to identify the commonly recurring themes in user feedback to determine how important or popular certain issues might be. After the end of the beta test, it is recommended that you hold a post mortem to evaluate the success of the beta test. This involves looking at the metrics that speak to the efficiency of the beta test process rather than the app itself. Analytics like number of bug reports, number of unique testers, and survey participation rate can be analyzed to reveal any issues with the beta testing process. Once these issues or bottlenecks are identified, the beta test process is adjusted accordingly to avoid the same issues in future iterations. You need 100-300 testers to get meaningful feedback from your beta test. Also, remember that not all who sign up for your beta test will end up participating, so try to initially aim for at least double that number. Consider starting with a small number of testers and gradually increase that number as you go. 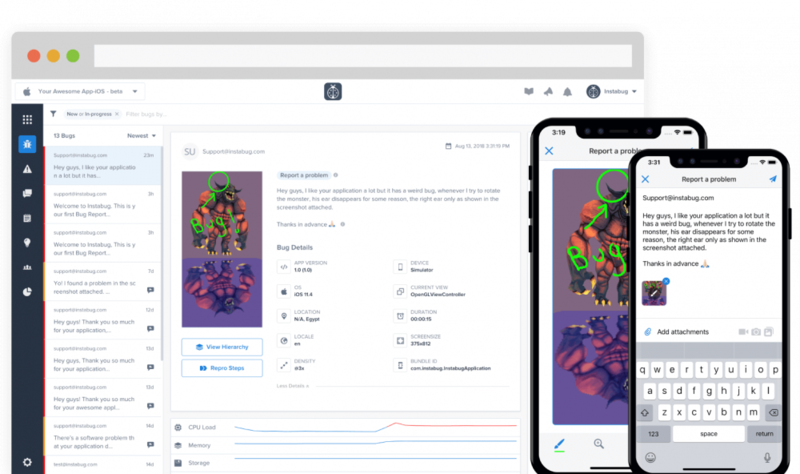 This can be held over several stages each with their own focus, for example, limited technical test with 50 testers focused on bugs and crashes, then expand to 200-300 testers to gather general feedback, then move to open beta testing. A beta test cycle should run for a minimum of 4-6 weeks to provide good results and it is not uncommon for beta tests to run for more than 6 months. Keep the size of your team and their capacity in mind when planning for your beta test and don’t stretch them too thin. When you are done with your closed beta test, consider soft launching in a limited market that closely resembles your main market. For example, if your main market is the U.S., consider a limited release in Canada or Australia. This will help you gauge what kind of reception your app will get when you release, while also giving you enough users to give your analytics more depth.